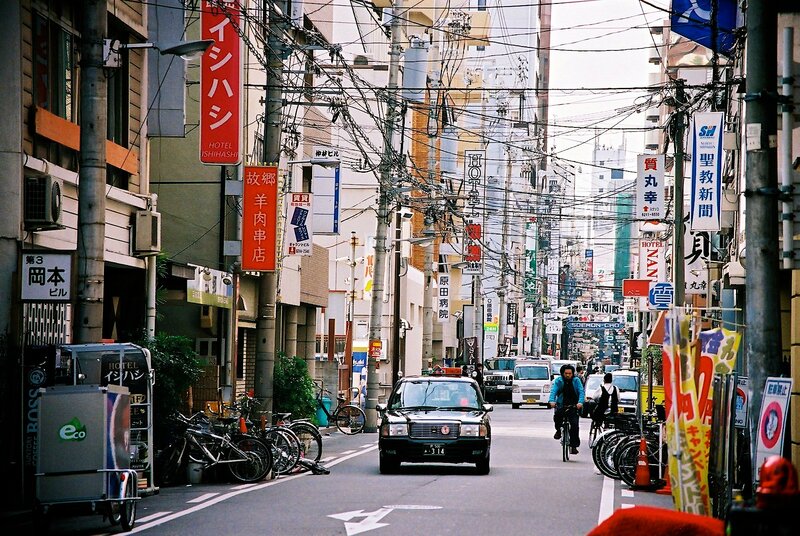 There’s a wide range of transportation options available to get you from Kansai International Airport to Osaka, so you shouldn’t have any problem getting from the plane to your bed. The only hard part is deciding which way to take! One of the best ways to get downtown is to take a train right to Shin Osaka station or Osaka station, which are 3 minutes apart. From this central location you can walk, take public transit or hop into a taxi or rideshare, like Uber, to your final destination. The JR Haruka express train is a direct, 50 minute ride to Shin Osaka station, which departs from the airport 2 times an hour. For a step by step guide to purchasing these tickets from the ticket machines, click here . The cost of a ticket is 2330 yen (approximately $21 USD), or 3000 yen (approximately $27 USD) for a reserved seat. A cheaper alternative would be to take the JR airport line, which is a regular commuter train that makes more frequent stops. 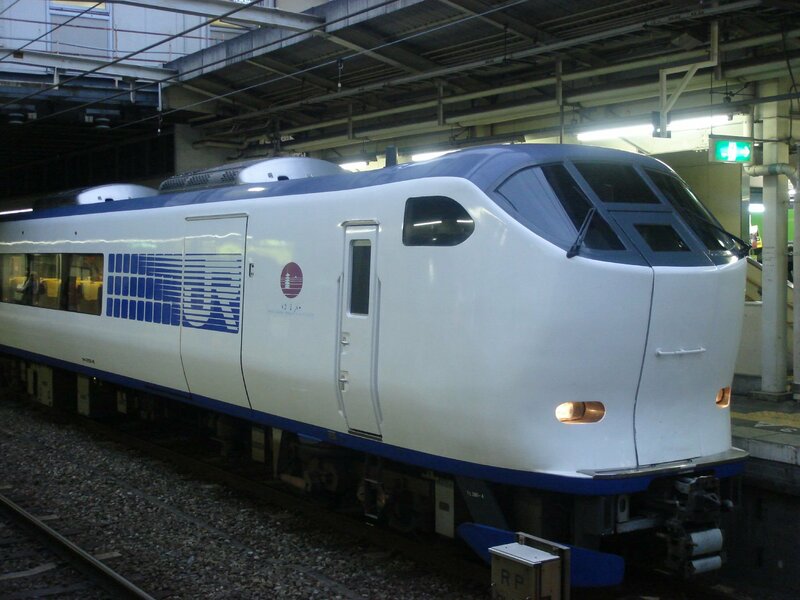 This train is a 70 minute ride to Osaka station and departs from the airport 2-3 times per hour. This option costs 1190 yen (approximately $11 USD) and tickets can be purchased when you arrive in the airport. 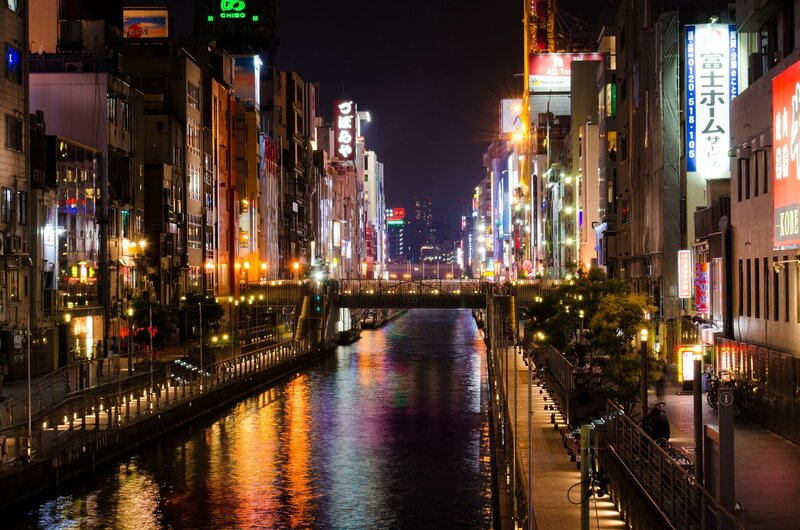 An alternative route you can take into the city would be to take a train to Namba station, which is located in the Namba district in south Osaka, and continue on to your final destination on public transportation. From Namba station, you can calculate the exact fare it will take to get to your final destination from the fare tables located in the station. For a step by step guide on how to use the ticket machines click here. The first train you could take to Namba station is the Nankai “Rap:t” train, which takes 35 minutes and departs from the airport every 30 minutes. It costs about 1400 yen (approximately $12.50 USD) to get to the station, plus your additional subway fare. A cheaper way to get to Namba Station is the Nankai Airport express, which takes 45 minutes and departs from the airport every 15 minutes. A ticket for this train is about 900 yen (approximately $8 USD), plus the additional subway fare. The most expensive, but luxurious option would be to take a Taxi. Since Kansai Airport is approximately 50 km outside of the city, this option will set you back about 15,000 yen to 17,500 yen (approximately $133-$155 USD), so it’s not a very common way to get into Osaka but may work for your needs. To recap, the quickest and cheapest way to get right down town would be the JR airport line. If you’re heading to a final destination that’s more south, the cheapest option would be to take the Nankai Airport Express and continue on public transit. Whichever option you chose, we hope you have safe travels!